Two Deal police officers were recently promoted to the rank of sergeant. 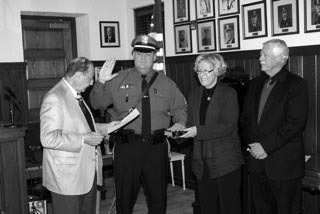 Above – Brian Egan is promoted and pictured with Mayor Morris Ades (left) and Egan’s parents, Susan and Michael Egan. 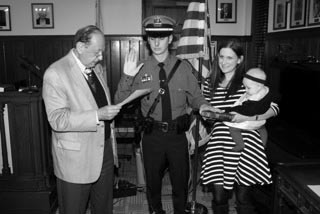 Above – Matthew Sharin is promoted and pictured wth the mayor, his wife, Meghan and their daughter, Emily. Posted in Shore Communities and tagged Deal.